Sewage Backup and Cleanup Portland | Open 24/7! Sewage backup and cleanup is a service people pray they will never need, but when you have half a foot of black water standing in your bathroom from an ungodly toilet overflow you will be glad that 911 Restoration Portland is available 24/7/365 ready to remove returning water from your home and make any plumbing repairs needed to get your home back in tip-top shape! We are licensed, insured and bonded to perform even the worse sewage backup spills that cascade disease and bacteria into your living space making our sewage backup and cleanup Portland pros the best in all of Oregon. Furthermore, we have over 35 years of experience performing the best water damage restoration services to homes and businesses across Portland and this means we have seen and done it all! We take the proper safety precautions, including full HAZMAT suits when black water is present, and we use the latest drying technology to make sure the job is done right leaving no moisture behind to beckon a mold problem. In fact, there have been many pipe burst calls we have responded to in which our sewage backup and cleanup Portland team had to perform mold removal services because plumbing leaks were allowed to drip water and go unreported to professionals like 911 Restoration. Don’t risk your health, especially when it comes to a category three situation; call the sewage backup and cleanup Portland team at 911 Restoration right away that everyone counts on because you should never have to clean a sewage spill on your own! What is the Best Way to Clean a Sewage Spill? Under no circumstances should you try cleaning a sewage spill on your own because it is very dangerous; instead the best way is to call our sewage backup and cleanup Portland crew for safe sewage removal. A category 3 black water spill is dangerous because it spreads diseases that can put you in the hospital. Plumbing water is broken down into 3 categories. Category 1 is completely clean and safe water. Category 2, also known as gray water, picks up bacteria, dirt, and chemicals. Grey water causes water damage during appliance malfunctions like a washer burst. Category 3 black water carries human waste and most commonly comes from toilet overflows. When our sewage backup and cleanup Portland company responds to your toilet overflow emergency or ruptured hose from your septic tank we come in full HAZMAT gear and use special plumbing repair techniques that eliminate the risk of cross contamination thereby keeping the rest of your property safe from the e Coli and other diseases that are commonly found in human waste. When you learn more about 911 Restoration Portland you will discover that our customers love us because we strive to make a difference in everything we do. Call the best sewage cleanup company today because when it comes to the safety of your family and the integrity of your home you should never settle for less! 911 Restoration is the best sewage cleanup company because our sewage backup and cleanup Portland specialists always put the customer first, without compromise. 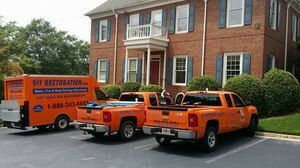 This means that 911 Restoration goes the extra distance to offer not only the best black water damage restoration services, but we also offer an affordable price by working with all insurance companies because we don’t want money to prevent you from getting the sewage cleanup services you need from a pipe burst or any plumbing leaks big or small. 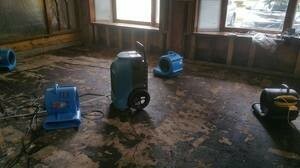 Call 911 Restoration in any of these situations for a free inspection. Our sewage backup and cleanup Portland techs will perform the most thorough water cleanup techniques to get every drop of moisture off your property. 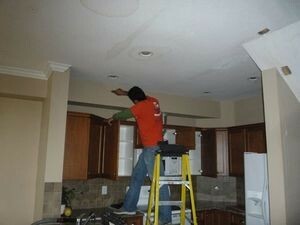 Then we completely restore every damaged surface so that your home shines and sparkles with cleanliness. We value professionalism, so call our sewage backup cleanup Portland team with 911 Restoration Portland and let our specialists restore your home while making it even better than its previous condition today!